The Swedish internet casino operator Mr. Green and Company AB have signed an agreement that could be of up to $10 million to fully obtain Maltese rival Evoke Gaming Limited. This is from venture capital firm, Bonnier Growth Media. Mr. Green and Company AB stated that the cash transaction is to include an initial outlay that is worth of $8.3 million while an extra $1.7 million could be due ‘if firm conditions have been met’. Both Company AB and Mr. Green stated that the deal, that is expected to be finalized in the first quarter of 2018. Itwill give them control of Evoke Gaming Limited’s online casinos and also sports betting domains at Bertil.com, Redbet.com, Vinnarum.com, and MamaMiaBingo.com before making ‘significant interactions’. Furthermore, they will also be expanding some of the sites to their own existing and upcoming markets. Executive Officer for Mr. Green and Company AB defined the purchase as an ideal fit for the business plan and strategies. It will also form part of the firm’s policy of development and a few number of strong brands that work worldwide. “MrGreen.com and Redbet.com have two immensely strong brands addressing different segments and we see the major potential to expand Redbet.com into our existing markets,” – said Norman. Mr. Green and Company AB further explained that Evoke Gaming Limited chalked up revenues of over $18.3 million annually. The figure for its first nine months of 2017 stretched about $8.7 million. It shows that the deal is to be subjected to the customary regulatory approval and Fredrik Stael Von Holstein will remain in control of the Valletta-based firm’s operations. 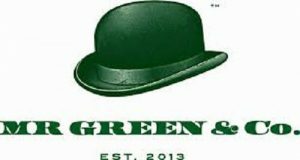 Moreover joining the organization team of Mr. Green Limited subsidiary in Malta.